Costa Rica is one of only a handful of countries in the world which do not allow right hand drive vehicles to enter their country – so unless your steering wheel is on the left side it is simply impossible to drive through or around Costa Rica. The Darién Gap is a break in the Pan-American Highway consisting of a large swath of undeveloped swampland and forest within Panama‘s Darién Province in Central America and the northern portion of Colombia‘s Chocó Department in South America. The gap begins in Yaviza, Panama and ends in Turbo, Colombia, and is 106 km long. Roadbuilding through this area is expensive and the environmental cost is high. Political consensus in favour of road construction has not emerged. 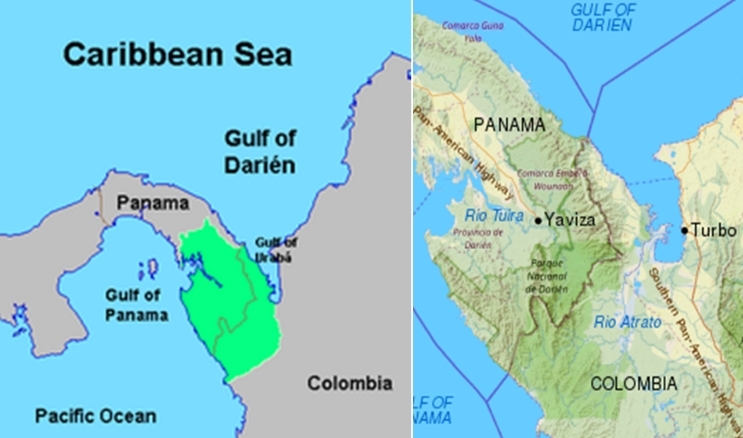 Consequently, there is no road connection through the Darién Gap connecting North America with South America and it is the missing link of the Pan-American Highway. So , instead of shipping Lipstick from Panama to Columbia and because of the Coasta Rica no sense rule regarding RHD Team Lipstick took the option to ship the car from Honduras to Columbia and proceed to the southern parts of Central America by alternative means of transport. 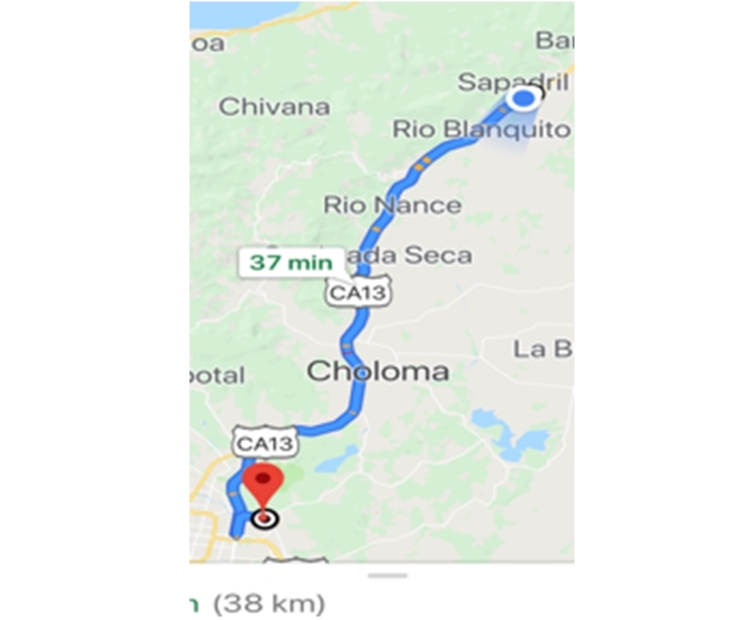 A Taxi was chartered in Puerto Cortez to take the boys to the close by airport in San Pedro de Sul which is about 45 km away from Puerto Cortes going inland. 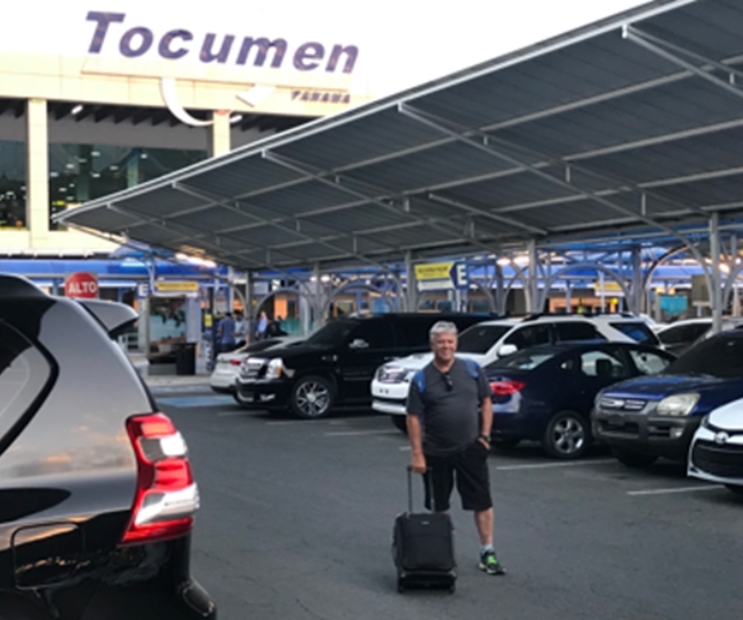 From there it was a 2 hour flight to arrive in Panama although Costa Rica would have been closer but unfortunately there is no direct flight connection form San Pedro de Sul to Costa Rica. being happy that the shipment of Lipstick so far seems to have had no complications.